Michael had Neverland. We get Wonderland. ADVENTURES WITH ALICE: March 5, 2010, is not just the release of "Alice In Wonderland" in theaters across the country, but a day we have been looking forward to for a very long time. With Johnny Deep looking crazy and hot all at the time, plus directing by Tim Burton, this movie is a pretty much guaranteed good time. If next Monday cant come soon enough, we have a quick fix for you. 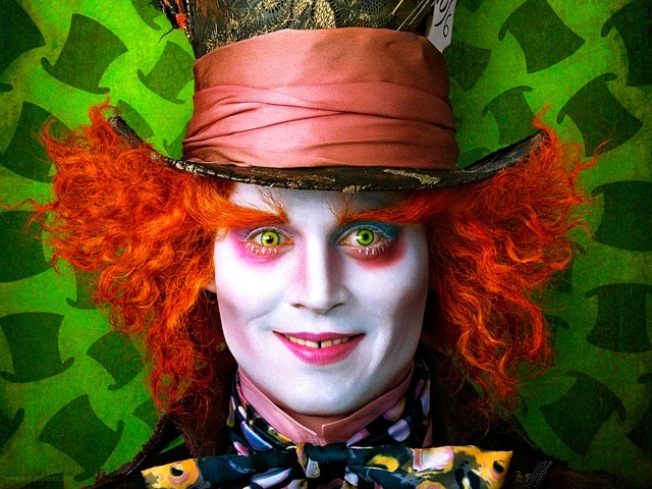 Tonight, MI-VI inside The Village at Gulfstream Park presents Alice In Wonderland "The Party." In a celebration of the movie, there will be complimentary Queen of Ace cocktails from 10 to 11 PM, free tickets to an advanced screening for the first 50 guest and spinning all night long by DJ Vertigo. Be sure to fall into the rabbit hole! 10 PM. RSVP at info@mi6ent.com. HEY, MS. DJ: The occupation of DJ used to be strictly a man's game. Slowly but surely it is being taken over by hot girls everywhere. Not shockingly, a lot of them flock to Miami. Tonight one of the top leading female DJs and producers in electronic music, Sydney Blu, will be riding into SoBe. Blu has hit singles on the Beatport charts, tours year round, and an originality like no other girl DJ on the scene. She will be taking over Mansion with her new album and it is sure not to disappoint. Buying a ticket gains you entry, but when the music has invaded 5 continents, it's worth every penny. 11 PM. WANNA BATTLE? With all the foodie madness that is taking place on Miami Beach, it might be time for some of us to escape the sand and hit the streets. How about a night filled with gladiators, paint slinging, live music and battling? Well, all of those things combine to create Art Battlesand it will be taking over the Eazy Street Gallery tonight. Battles is a competitive live challenge in which participants create their opuses while combating shoulder-to-shoulder and the audience chooses the winner. It sounds a little crazy, but it enters its ninth season tonight in Wynwood. Come ready, it's the art of war. 8 PM.